Drop-off will continue until 1 p.m. or until the trucks are full. 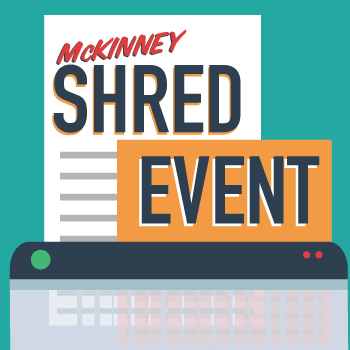 The City of McKinney offers this yearly event so McKinney residents can safely dispose of sensitive paperwork. Proof of residency is required. A driver's license or McKinney water bill is acceptable. There is a four-box limit per household. Please be prepared to take your boxes with you.